Which RainSoft Drinking Water Treatment System is Right for Your Family? RainSoft has the distinction of developing some of the finest drinking water treatment systems available anywhere in the world. 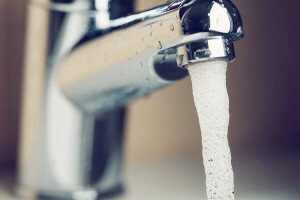 By investing in one of our premium drinking water purifiers, your family will have round-the-clock access to delicious, bottle-quality water right from the kitchen faucet. As a result, the tiresome (and expensive) tasks of having to buy, carry, and store countless plastic water bottles every year will become a thing of the past. Coffees, teas, juices, prepared meals – everything you prepare with water will taste distinctly better. Ultrefiner II – This model is RainSoft’s premier drinking water purification system, which has unmatched durability and water purifying abilities. The Ultrefiner II utilizes reverse osmosis technology to purify water on a molecular level, removing particles that are able to slip through other, less sophisticated filters. Thanks to its compact profile, the Ultrefiner II can fit inside virtually any cabinet space, or be installed in the basement. Hydrefiner – A second option to consider is the Hydrefiner, a compact, economical carbon block drinking water system that is capable of producing up to 830 gallons of healthy, ultra-clean water before cartridge replacement is needed. As with the Ultrefiner II, RainSoft’s Hydrefiner is built to industry standards and backed by a Limited Lifetime Warranty. To learn more about the premium drinking water treatment systems available from RainSoft, contact your local authorized RainSoft dealer today. We have a worldwide network of dealers who make it their mission to provide reliable, comprehensive solutions to their customers’ water- and air-quality problems.